Amazon has the Star Wars: X-Wing - Quadjumper Expansion on sale for just $6.70, down from $14.95. First appearing in the force Awakens, the quad jumper arrives to X-Wing as a scum and villainy ship, full of new maneuvers and dirty tricks. 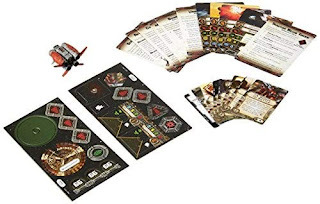 In addition to its pre-painted quad jumper miniature, the quad jumper expansion pack allows you to militarize this typically unarmed ship with four scum pilots and eight upgrades. These include new crew members, illicit technologies, and a modification that grants extra versatility to your tractor beam tokens. Finally, a unique elite pilot talent and associated condition help your elite pilots pay back their debts against those who have done them wrong.